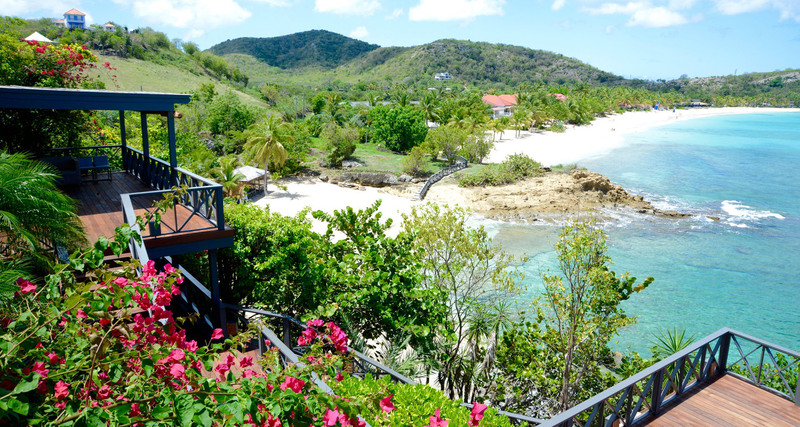 Perched upon a hillside in spectacular Galley Bay on the west coast of Antigua this exceptional property features a private pool with unrivalled sea views, 6 spacious bedrooms and private access to the beautiful sandy beach below. 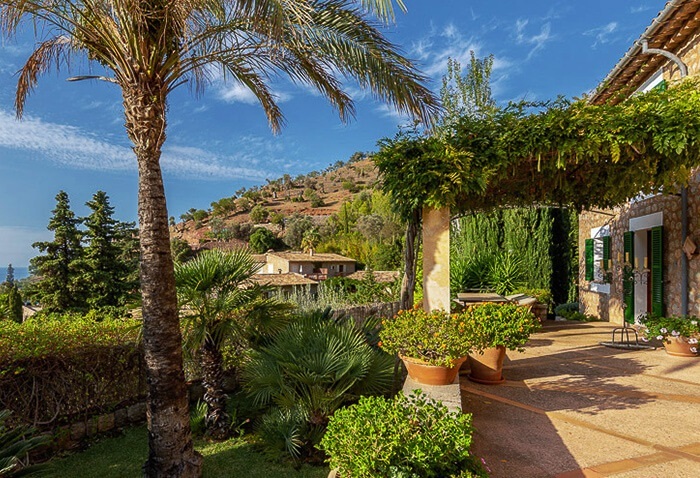 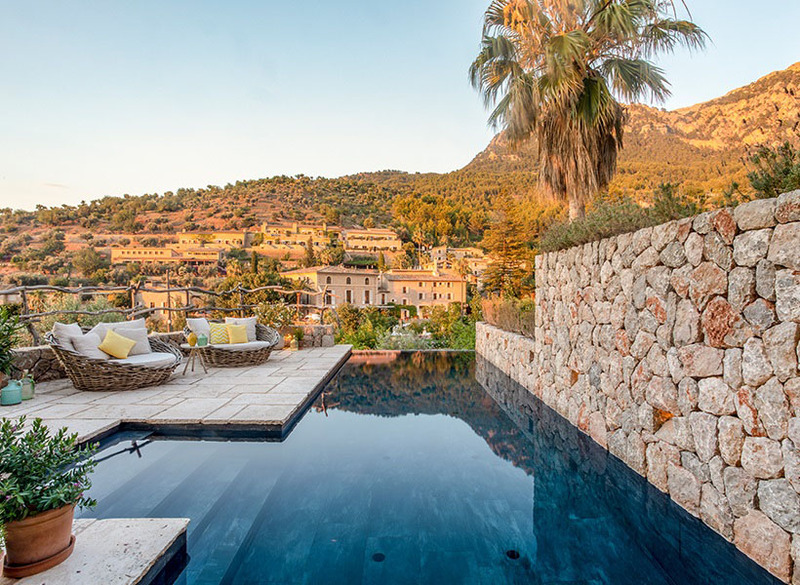 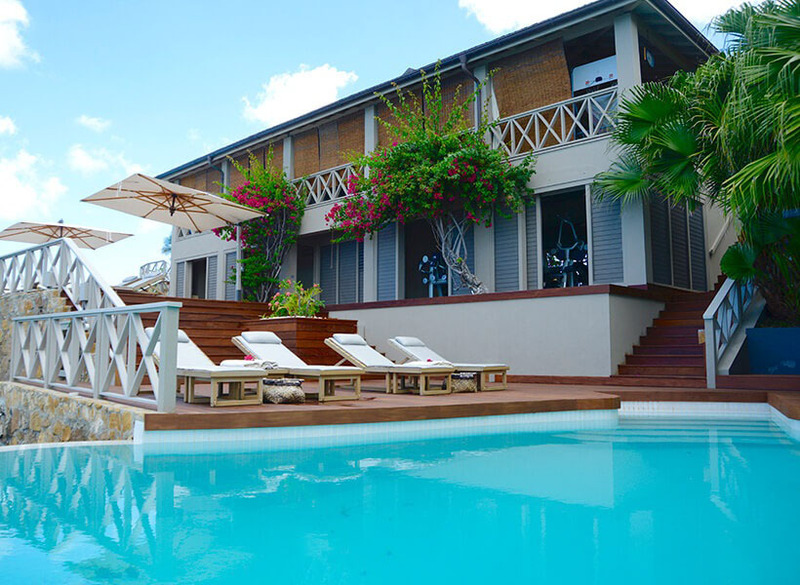 This spacious luxury villa has very recently undergone extensive renovations and provides immaculate accommodation both inside and out. 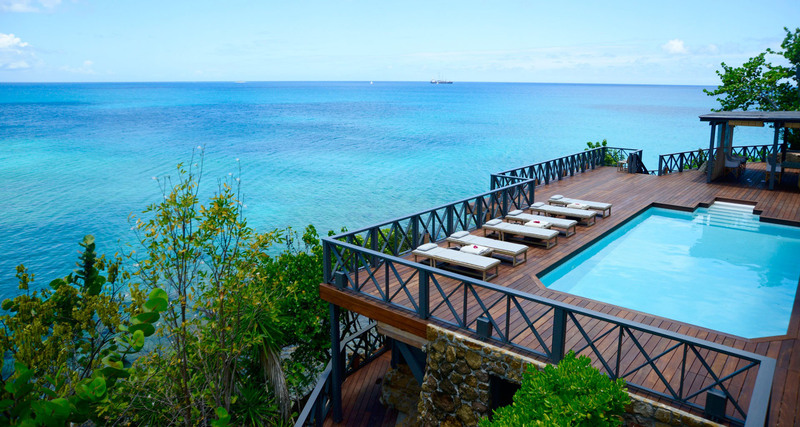 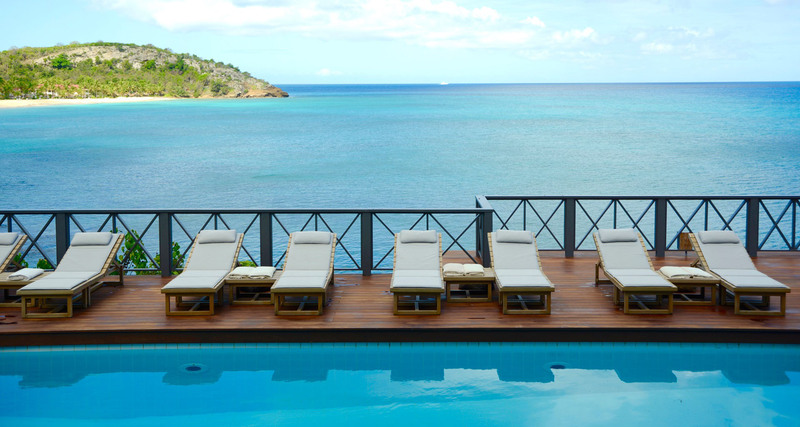 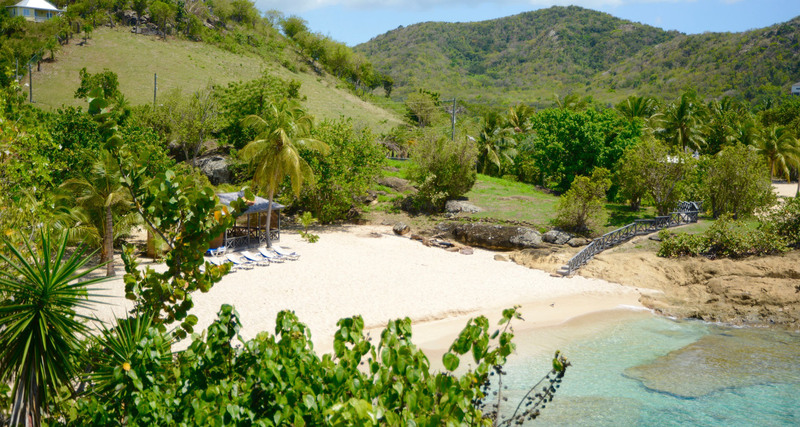 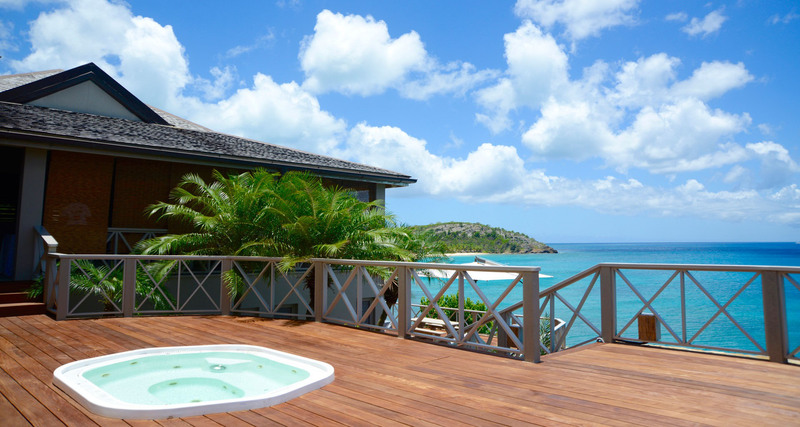 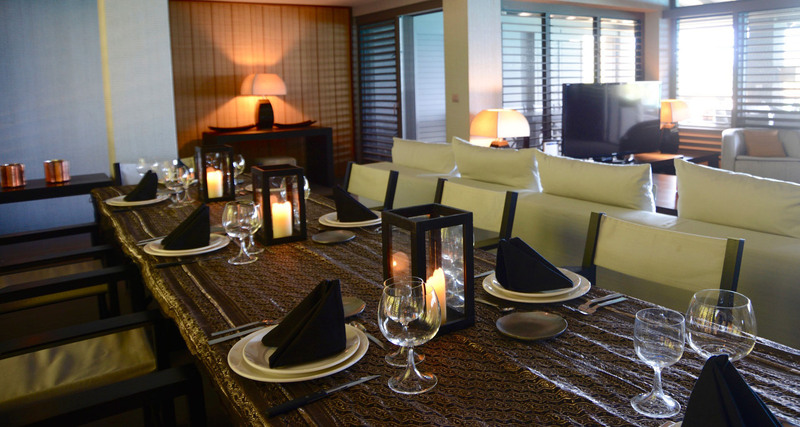 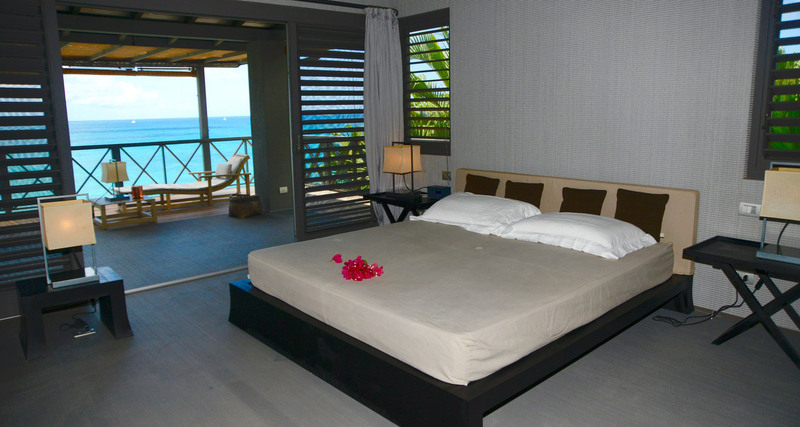 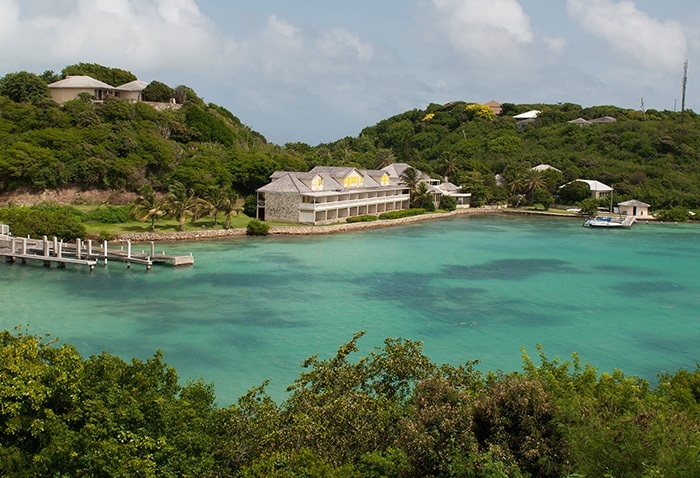 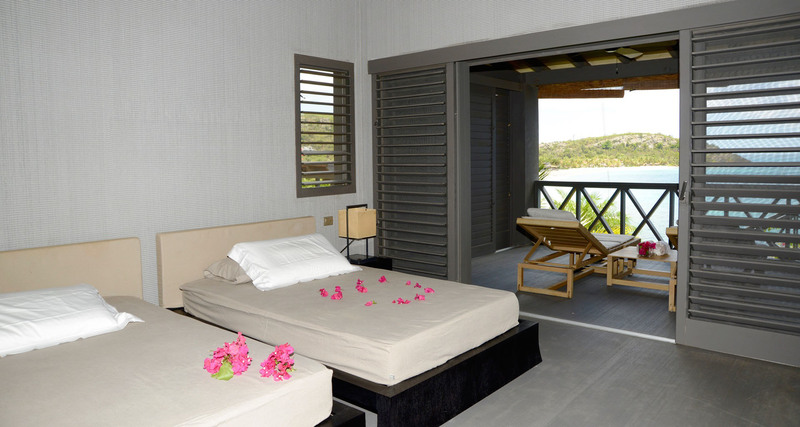 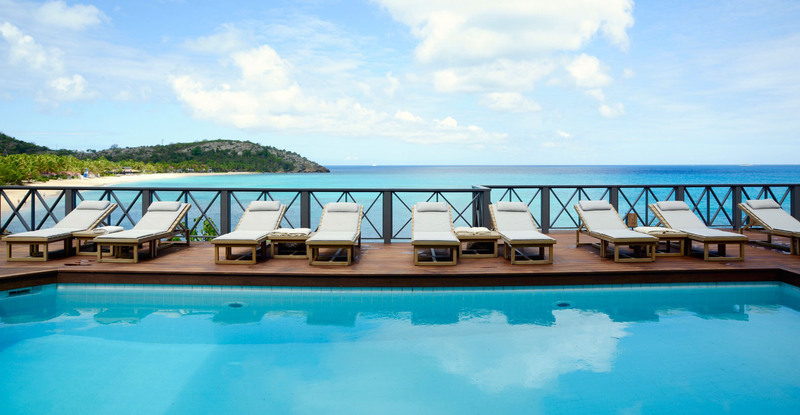 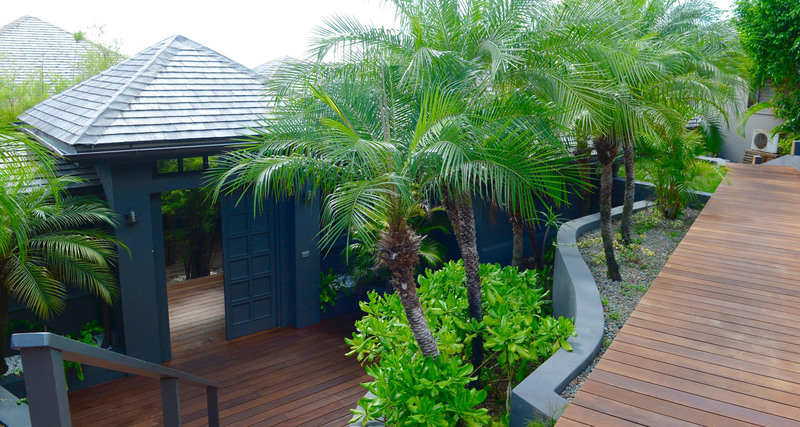 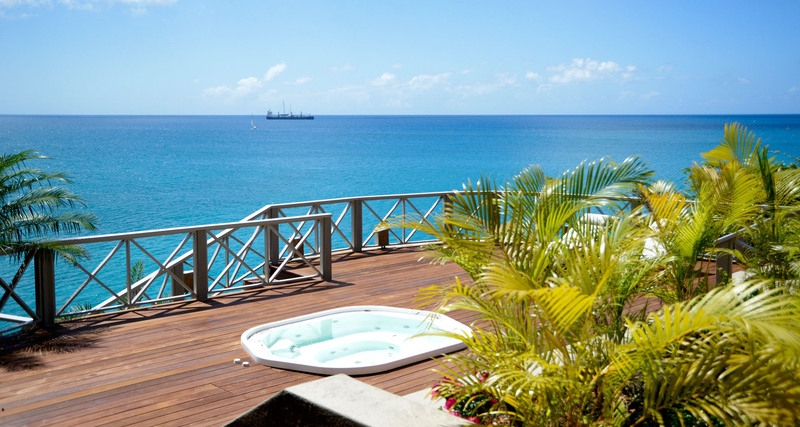 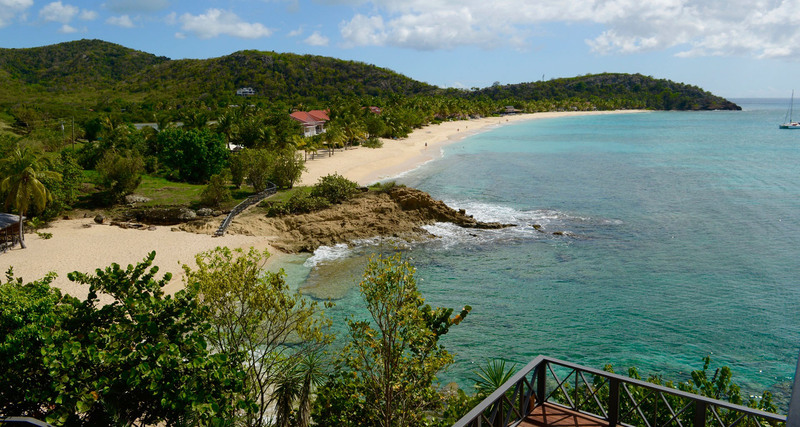 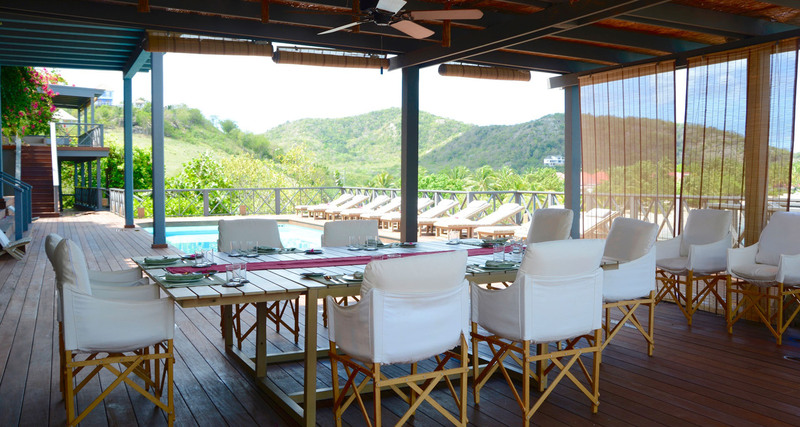 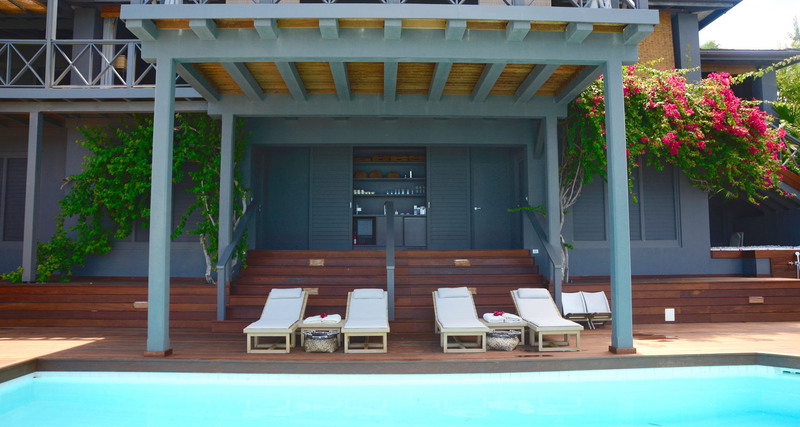 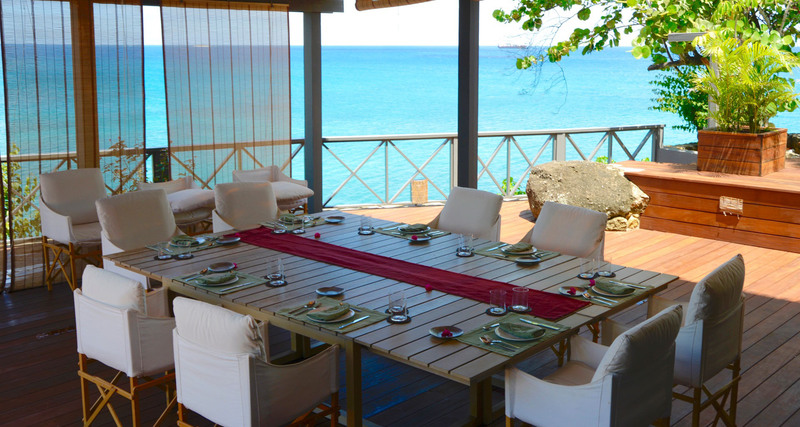 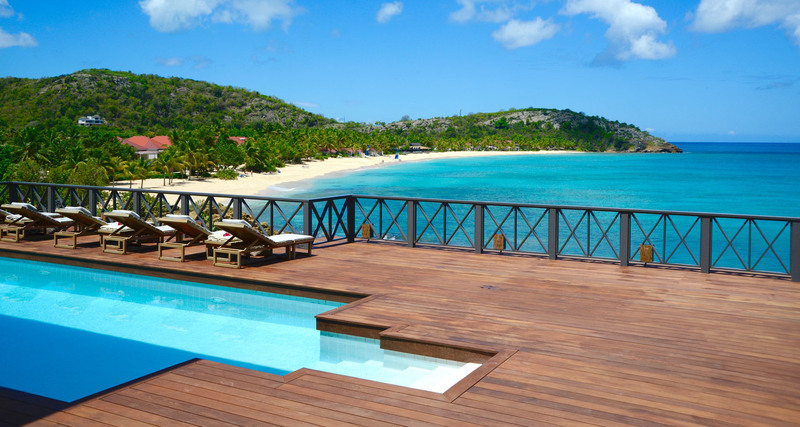 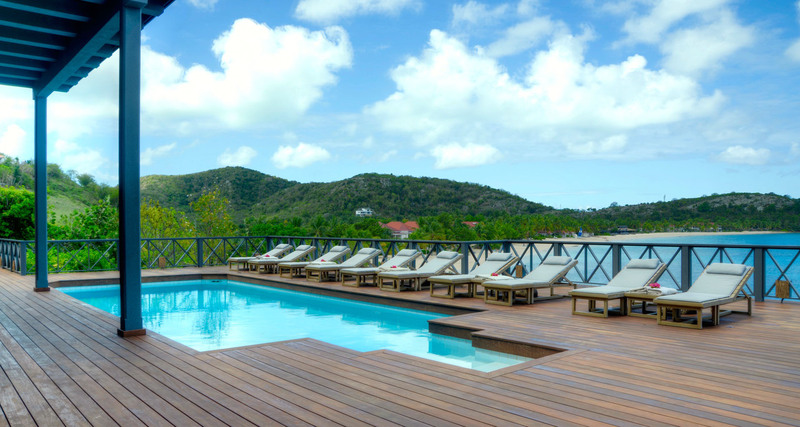 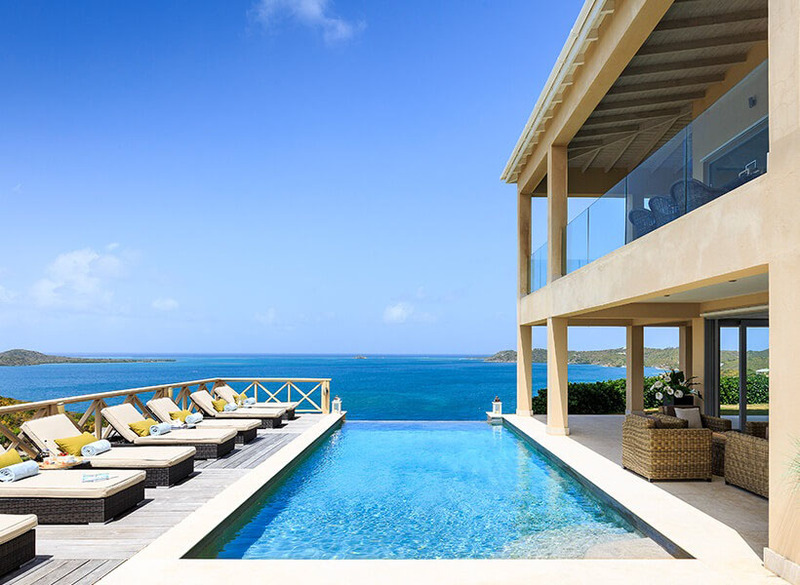 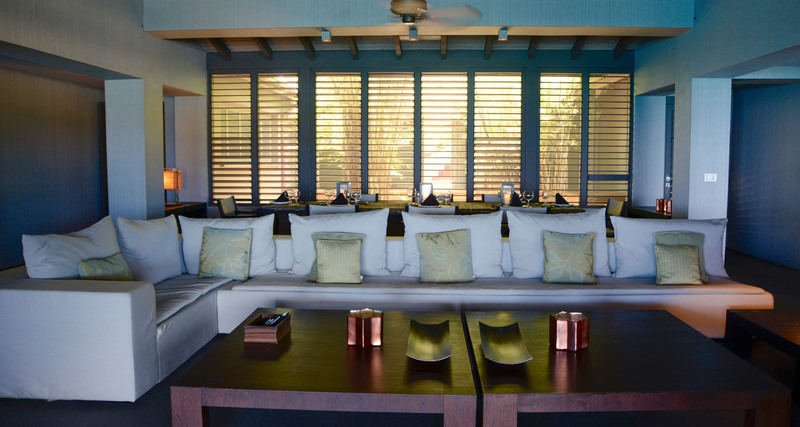 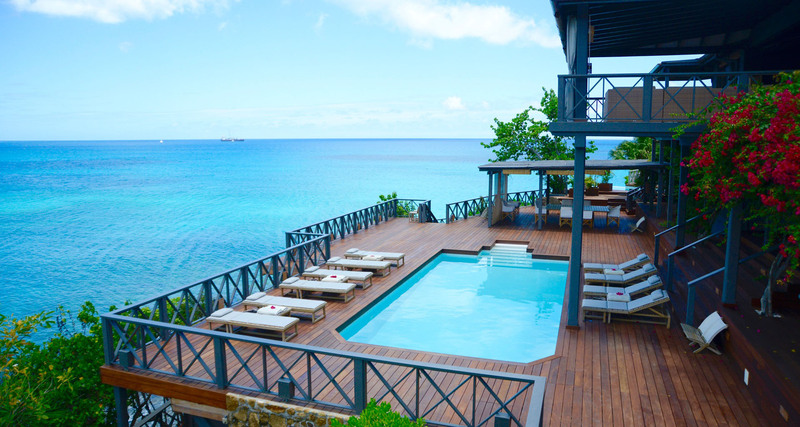 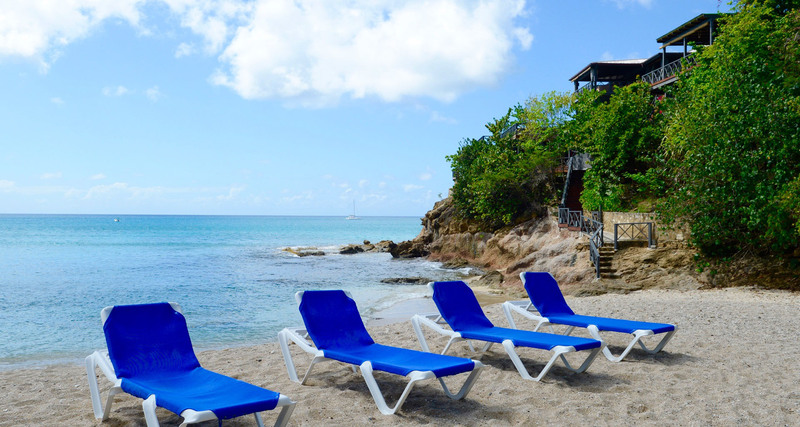 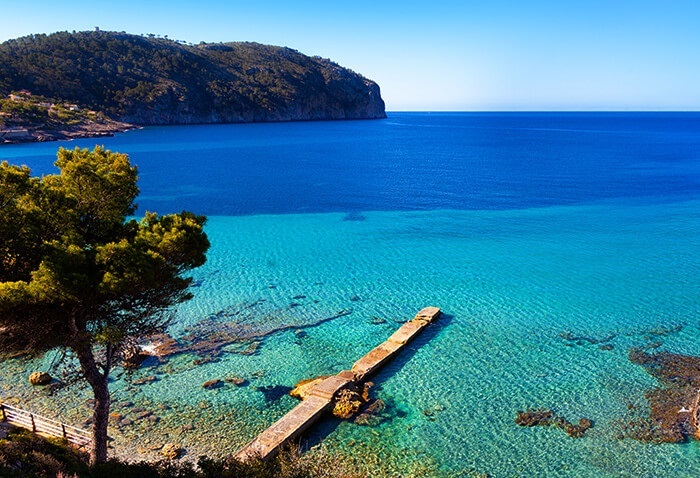 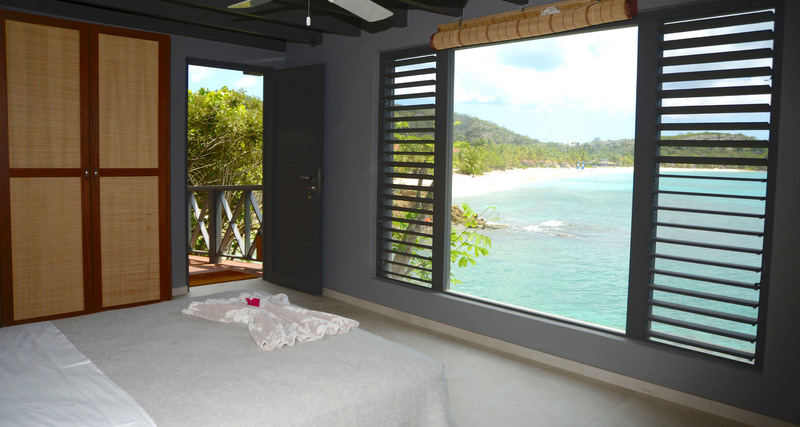 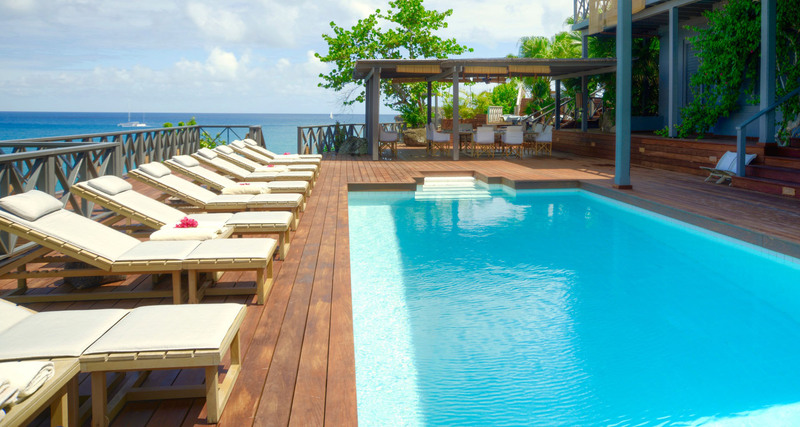 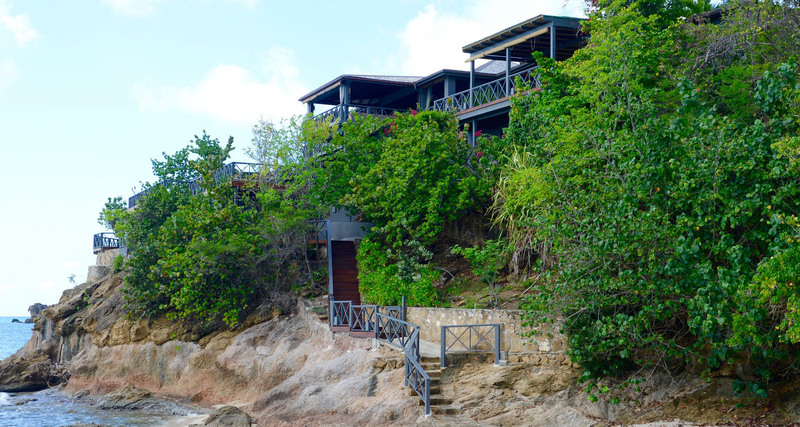 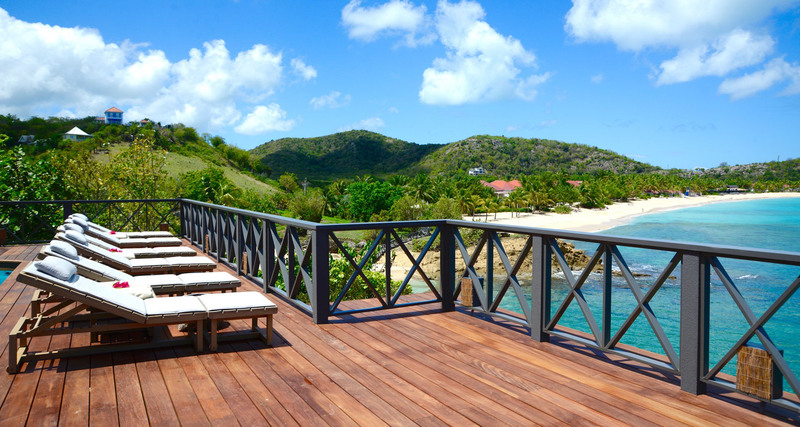 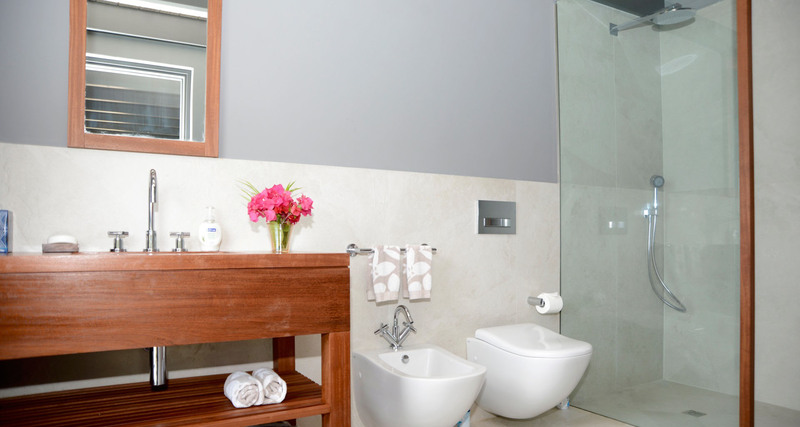 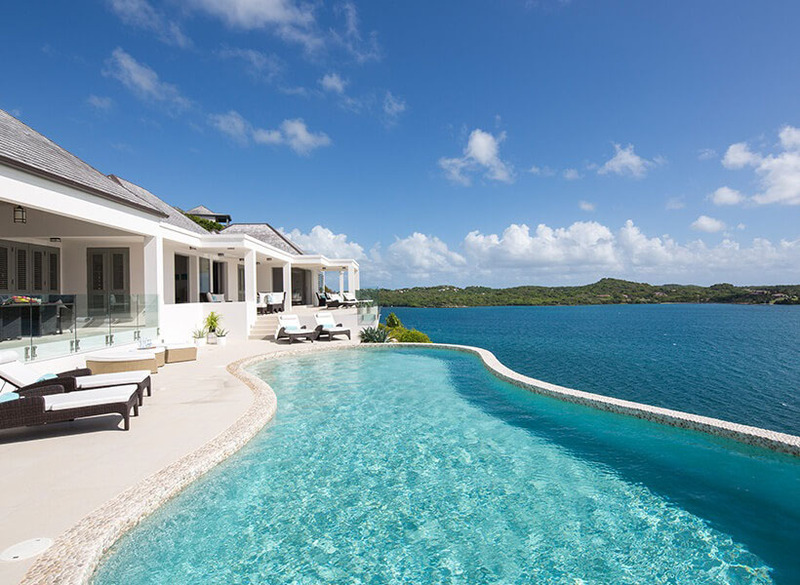 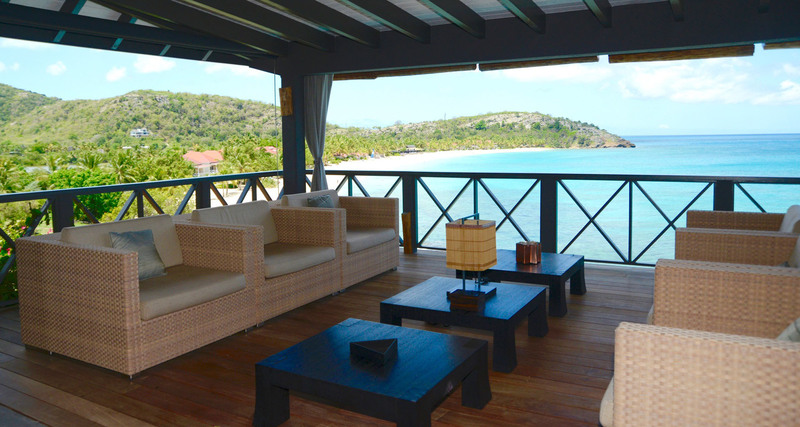 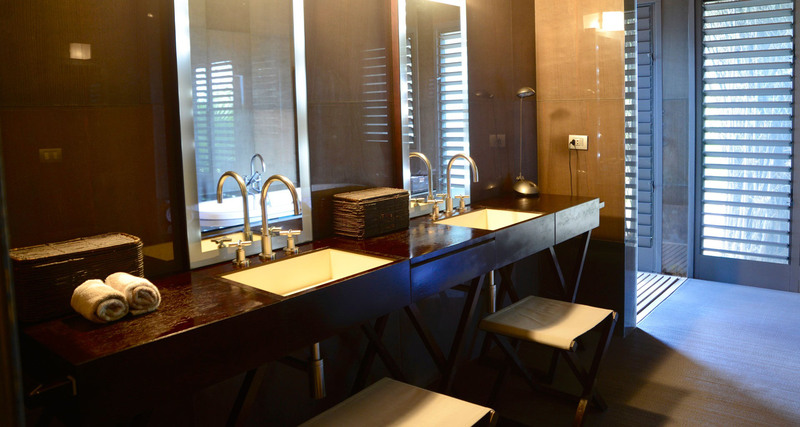 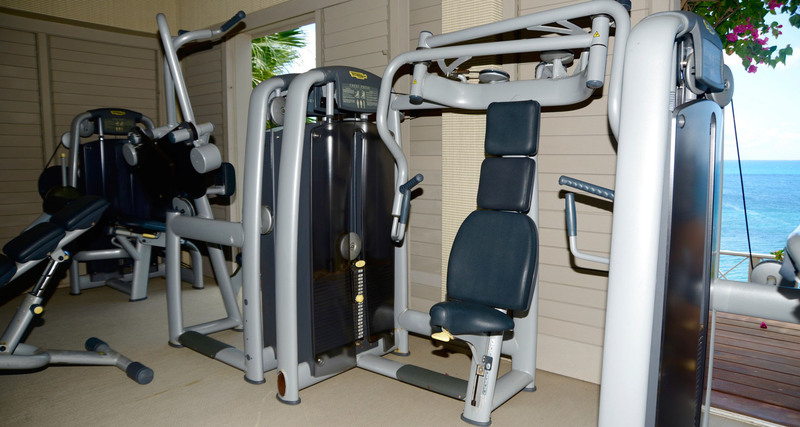 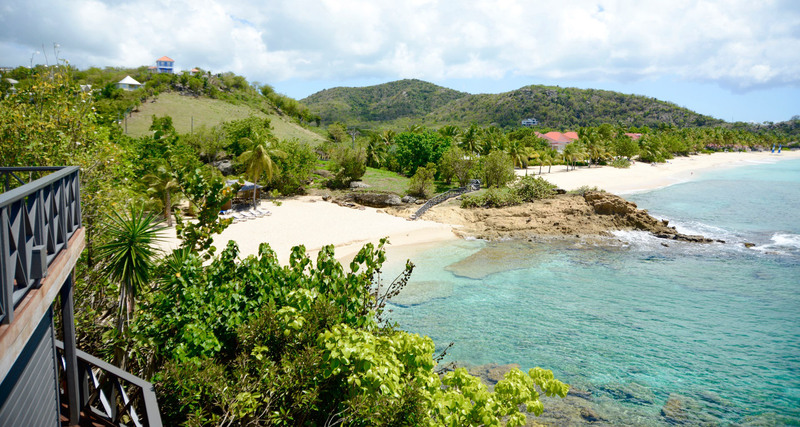 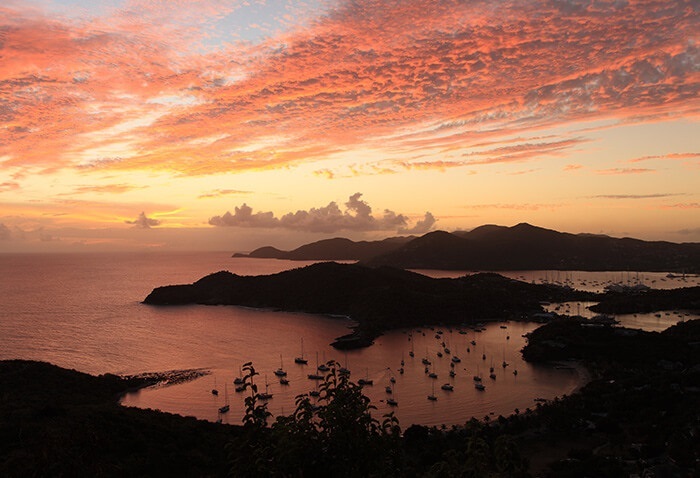 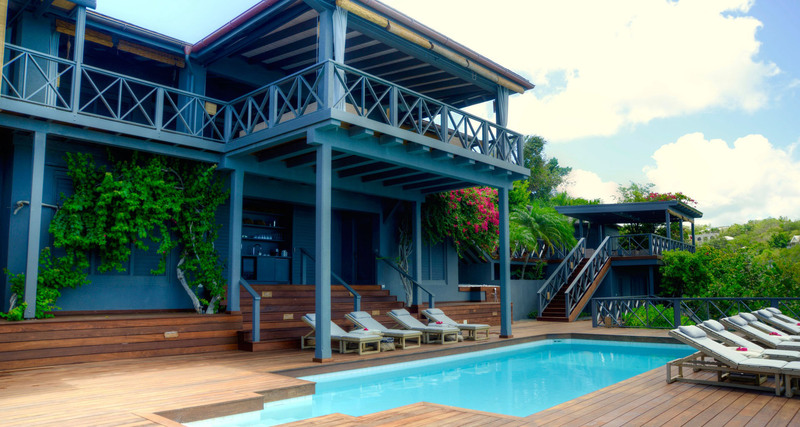 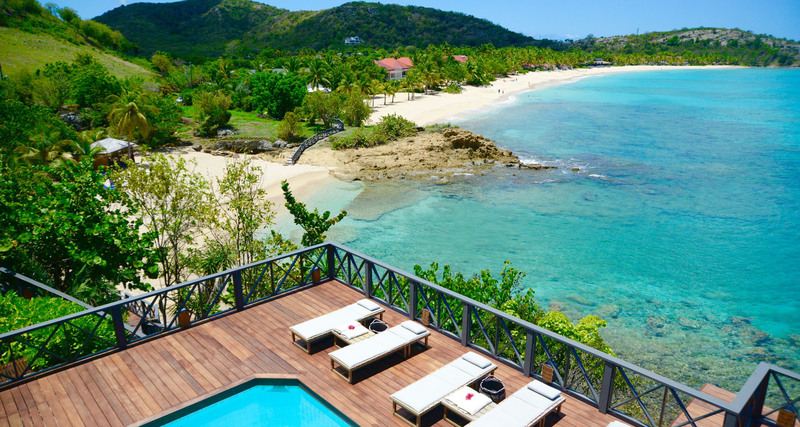 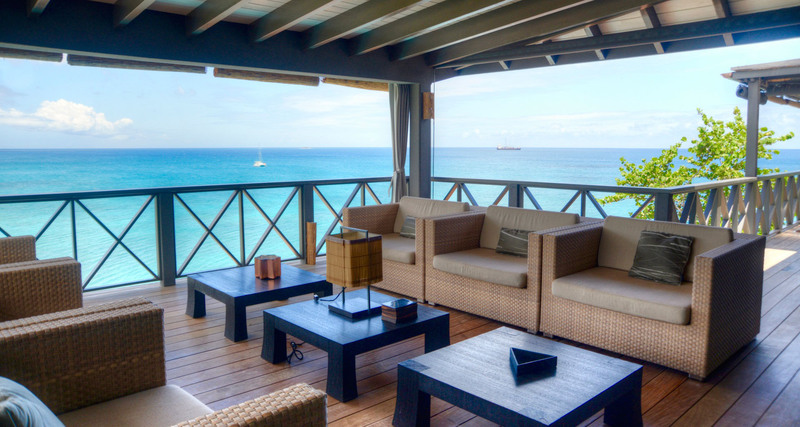 Offering the ultimate in relaxation and comfort, the villa is also very conveniently located, being just 10 minutes drive from St. John’s and 20 minutes drive from the airport. 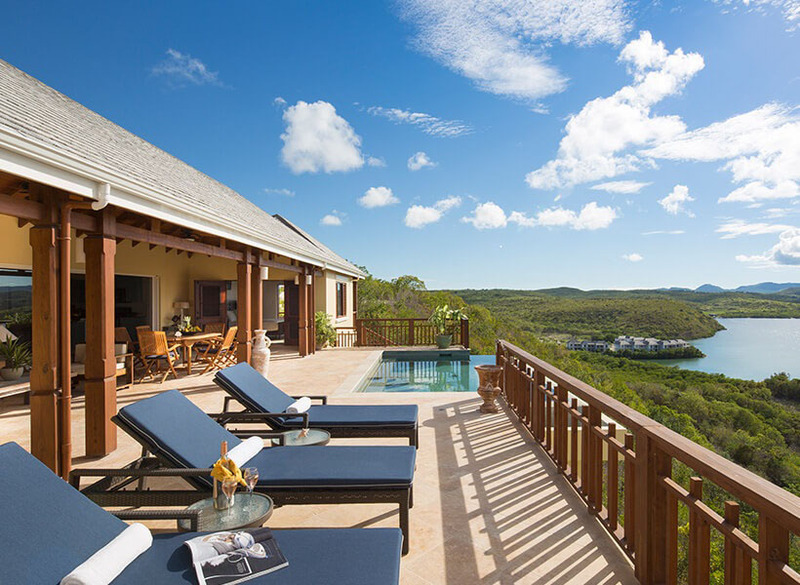 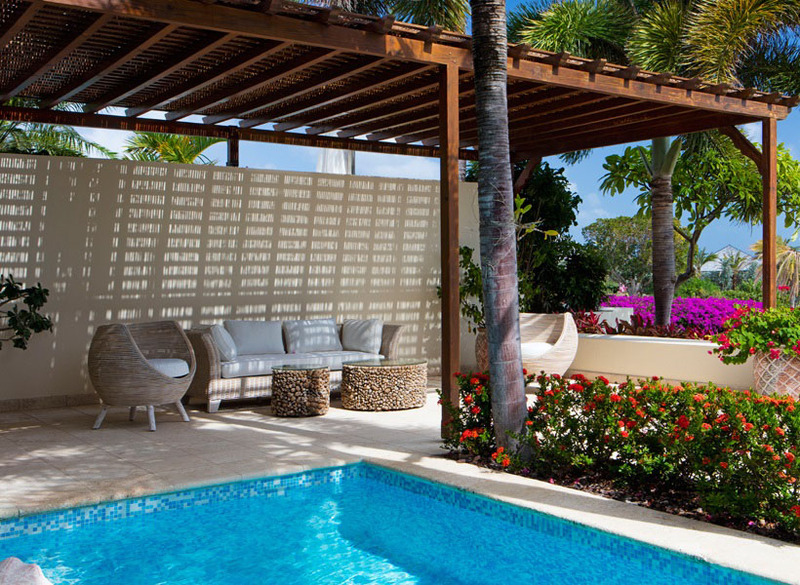 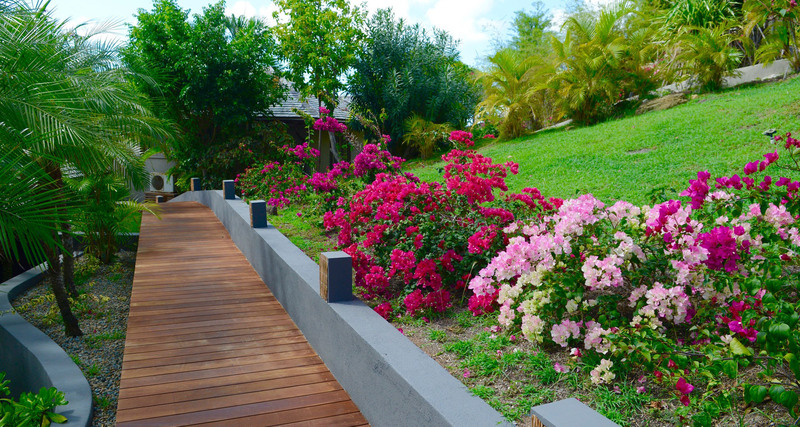 Whilst this luxury Antigua villa can accommodate up to 12 guests, for larger groups there is also a short pathway leading to a similar villa which can accommodate a further 10 guests. 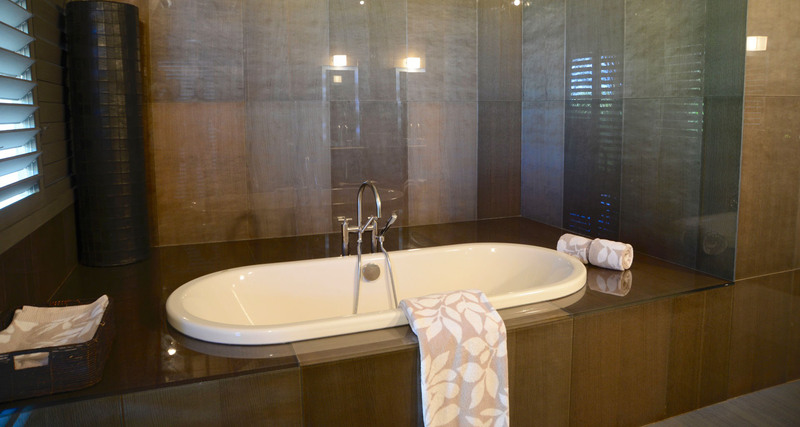 Please enquire for full details. 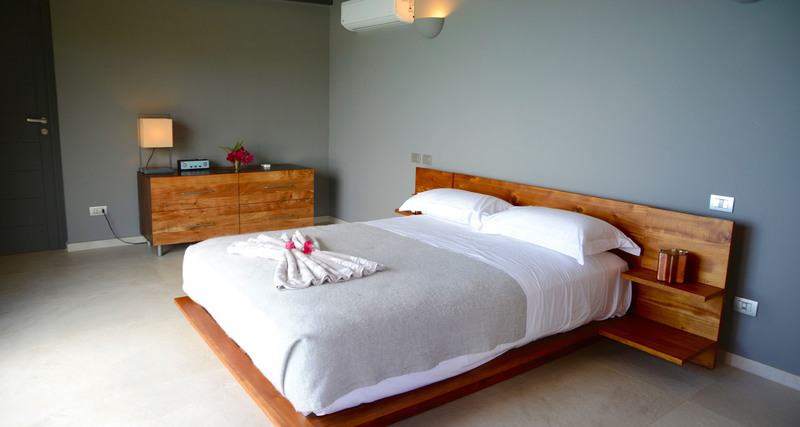 Open plan living area with comfortable lounge, fully-equipped kitchen and indoor dining area – Six beautiful and spacious bedrooms with luxury beds, full en-suite bathrooms, and large windows, many of which have access to an outdoor terrace area – Well equipped gym – Large outdoor terrace areas with open air lounge, comfortable seating, bar and open air dining room – Beautiful private pool with comfortable sun loungers and breathtaking sea views – Outdoor Jacuzzi – Private access to quiet sandy beach below the property.